For Dr. Laban Bontrager and Dr. Monica Bontrager, there is nothing more important than your smile and overall dental experience. 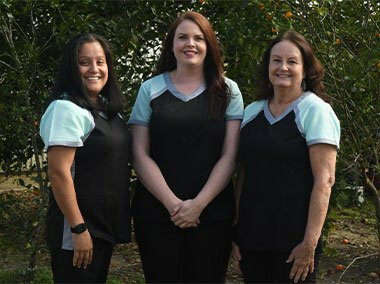 To make sure your entire family receives the dental care they need, we offer both general and family dentistry in Bristol, Florida. General and family dentistry focuses on providing comprehensive treatments to improve your family’s overall oral health. This includes preventing tooth decay, diagnosing existing damage, efficiently treating problems, and educating you so you feel confident in the care you receive. General and family dentistry is available to patients of all ages, included children and seniors. When you visit Bristol Dental Clinic, you can expect quality care in a relaxing environment. We will also give you the time and attention you deserve from your dentist. We want to make sure you understand not only what treatments may be best, but why we are suggesting them and how they can benefit your smile. We will never pressure you into receiving treatment, but will put the power and all the necessary information in your hands. We look forward to meeting your family and serving your smile. If you are interested in visiting our office, please contact us today. We would love to answer all of your questions and help you schedule your first appointment.